It’s a nice poem, and it’s a nice feeling, to sit outside and look up at the stars. The stars remind us that our wishes are real. They may be far away, but they are there. The stars inspire us to do something. You are going to need some adverbs to do this. Write some of your goals in the stars. Pick one goal you really want to achieve and make a plan. Write in five things you need to do. Each step will bring you closer to your goal. When you reach your goal, you can color in the star! 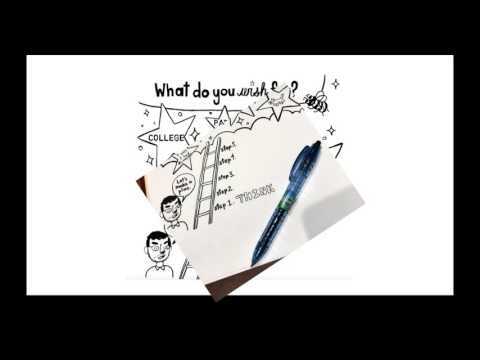 3 Write on the ladder the things you need to do to reach your goal. We need to make plans to get things done. In English this means​ adverbs of frequency and sequencing words. Making a wish gives our English purpose because we are going to do the things we say. You are already learning English to achieve one goal. Now, let’ English help you make your dreams come true.